It seems that you could actually use a proper keyboard on your Switch, if you were so inclined. Here's a fun bit of Nintendo Switch news that leans more towards "Huh, that's interesting," rather than "Wow, that's useful!" Trying to type things out on a virtual keyboard on any video game console is a pain at the best of times. Best case scenario you're on your 3DS or Wii U and can just type at the touch screen, but even that's not ideal as both are designed for stylus rather than fingers. While the Switch features a much nicer touch screen, that won't help you if it's in the dock. Luckily, there seems to be a bit of a workaround for typing on the Switch, though it's not incredibly useful in the system's current state. 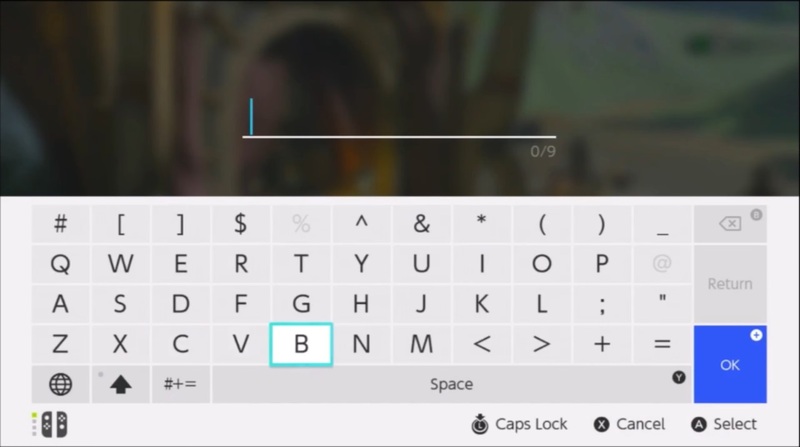 The folks over at GameXplain have discovered that you can actually hook up a USB keyboard to your Switch and use it for any typing that the system asks you to do. This even functions in-game, such as when naming your horse in Breath of the Wild. The problem is that, at the moment, there's simply not much to do with this functionality on the Switch. There's no browser yet or really any apps at all outside of games, so this becomes more of a novelty than a useful feature. Still, it could be a cool thing to have when more online functions get added to the device later in the year.